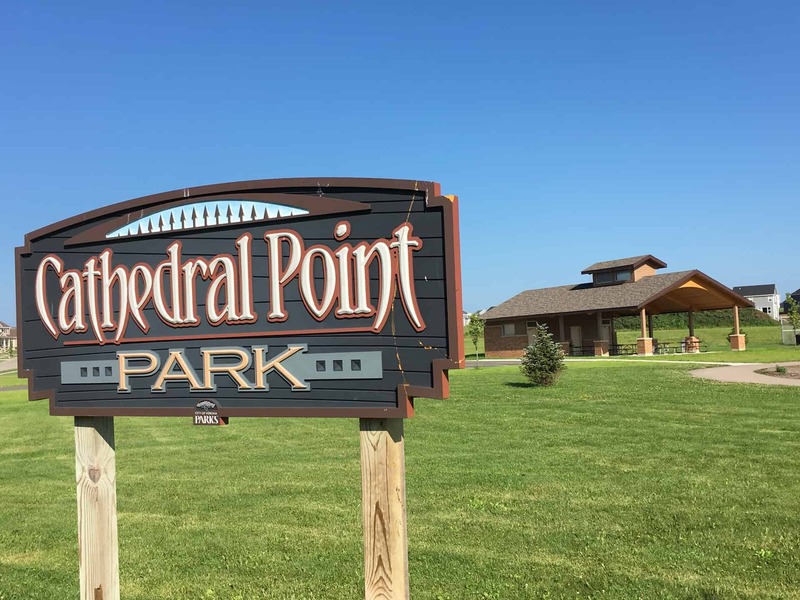 A welcome addition to the already established park in Verona comes the Cathedral Point Park Shelter. 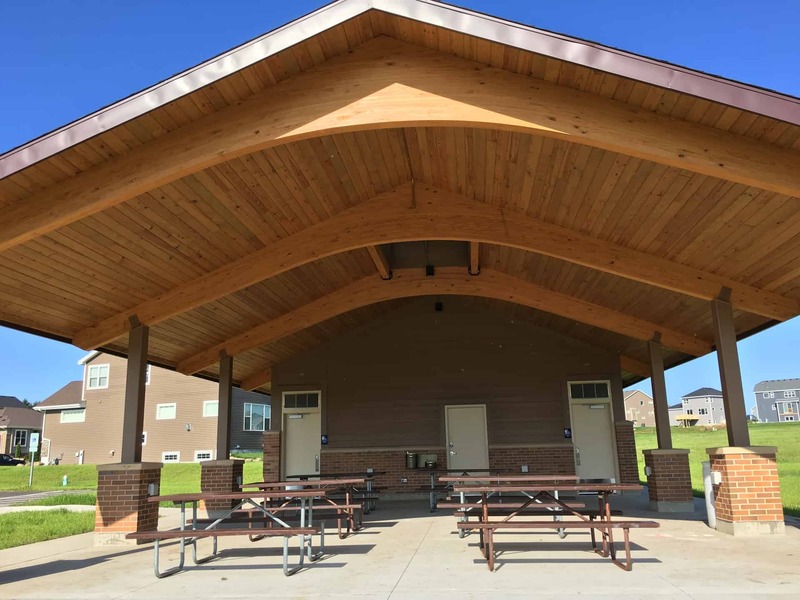 The covered shelter has amenities such as bathrooms, a drinking fountain and picnic tables, which makes it the perfect place to spend a summer afternoon. The ceiling of the structure is constructed of 3” thick decking boards supported by vintage inspired glulams. The exterior of the building is finished with brick and LP siding. Pack up the picnic basket and enjoy a Wisconsin summer day at the park. A welcome addition to the already established park in Verona comes the Cathedral Point Park Shelter. 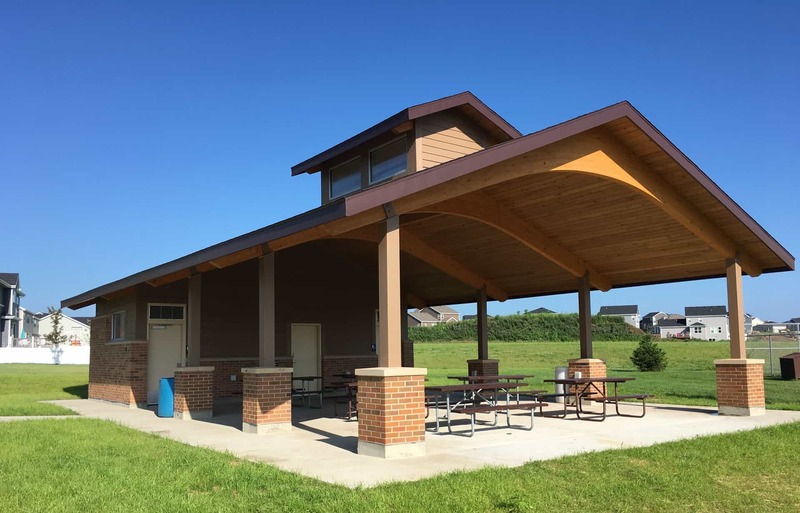 The covered shelter has amenities such as bathrooms, a drinking fountain and picnic tables, which makes it the perfect place to spend a summer afternoon. The ceiling of the structure is constructed of 3” thick decking boards supported by vintage inspired glulams. The exterior of the building is finished with brick and LP siding. Pack up the picnic basket and enjoy a Wisconsin summer day at the park.